Silver lining time: if I had to be diagnosed with an auto-immune disease I'd never heard of, and embark on a totally new diet, I sure did time it well. Over the past few years some mainstream food brands have been upping their gluten-free game here in England, and there have been some outstanding newcomers on the scene. Here's a roll-call of three places that are putting a song in my heart (and deliciousness in my belly). If you're in the UK (especially a Londoner), I hope they're on your radar - and if you're further afield then they're excellent ports of call if you come visit. Winner of the most-improved category has to be Pizza Express. I never would have darkened their door before their gluten-free makeover - salad without the bread sticks? Don't make me laugh. 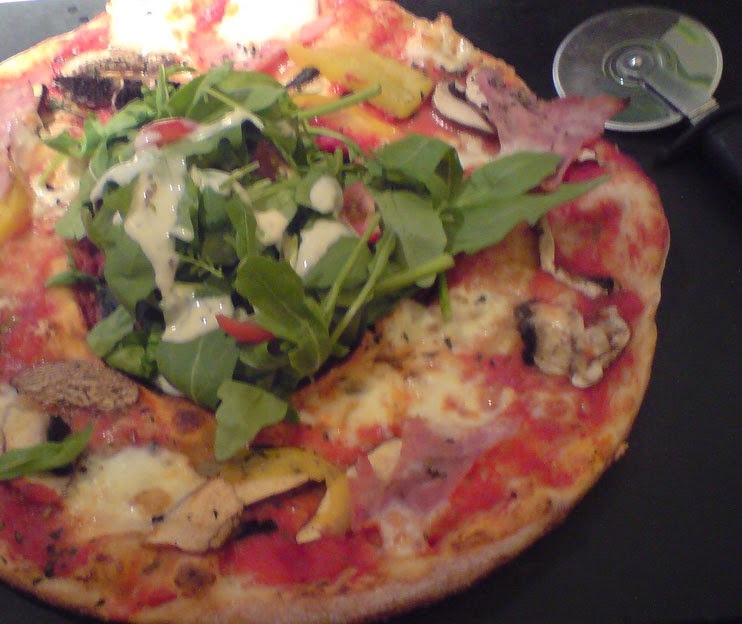 But now Pizza Express are wooing gluten-free customers like crazy. There's gluten-free mark-up on every menu (they have pizzas AND desserts, people!). The staff understand gluten-free. And they use gluten-free flour to dust down their surfaces to minimise risk of cross-contamination, and have worked to win accreditation from Coeliac UK. Best of all, they don't penalise gluten-free diners on price, and special offers still apply to GF pizzas and other dishes. Old news to American GFers I'm sure, but over here in England Udi's have been taking gluten-free diners by storm. For me they're heroes for winning at breakfast bars (because gluten-free food on the go is hard), granola (which should be gluten-free - for those of us who eat oats - but so often isn't) and bagels (can't talk, mouth full). And I don't know if I should thank them for this, but they've also introduced me to food I never knew I needed (hello, cinnamon bagel chips). Well played, Udi's. My only gripe? I don't see them nearly enough in my local supermarkets. This has been my go-to sugar fix for some time. This is hands-down the best chain cafe for gluten-free snackers. Yes, Starbucks has a gluten-free brownie, ditto Nero, but Costa Coffee can match your brownie (it's also bigger than Nero's, just saying) and raise you gluten-free bakewell tarts, coconut bars and now they've added their first savoury gluten-free snack, a chicken and basil wrap. And they launched it in time for the recent Coeliac Awareness Week in the UK, because they care. And because it wouldn't be business as usual without a quick whinge, here are the fallen heroes. The brands that could be awesome or amazing eateries that have disappeared. Pret a Manger. It pains me to critique this healthful and wholesome lunch mecca, but they could mop up the gluten-free market if they made a little more effort. Are several of its salads free of gluten-containing ingredients? From what I can tell, yes. Do they make ingredients clear on the website? Fairly. But in the stores themselves, they make it almost impossible to read the labels for the finer points of ingredients to salads, dressings and soups. Have they been known to smatter wheaty couscous around otherwise gluten-free salads? Monsters. Plus I haven't forgiven them for the disappearance of their flour-free almond and orange cake a few years back. Allegedly they've released a gluten-free wrap recently (though I've never seen one in-store and the product description doesn't make much sense on-site - Mexican hoisin duck, huh?) So I very much hope to be able to do a U-turn on this brand. Bake at home pizza. I can't say the words "Bake at Home" without a silent sob, a rueful sigh, a wistful look back on years of pizza plenty. When this South London pizza delivery place, and its gourmet range of gluten-free pizzas, disappeared from my life, it hit me hard. So many wonderful Friday nights at the Free-From and Wheaty household had begun with the words, "Netflix and Bake at Home?" I would be willing to set up a weekly pizza standing order to get these guys back. Bruschetta. This legendary gluten-free Italian diner in Kingston rolled out its last gnocchi earlier this year. There were tears. Then I learned that they had been heavily fined for hygiene violations. And you know what? It didn't bother me in the slightest, that's how good their gluten-free ravioli were. Bruschetta is due to open again under new management but regulars aren't sure whether the new restaurant will cater for GF. 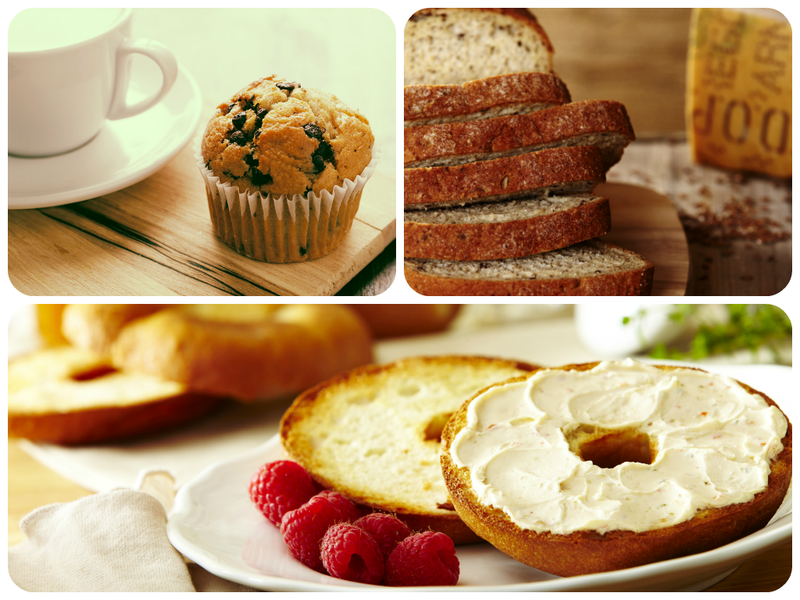 What are your favourite gluten-free brands, or places you think need to try a lot harder?